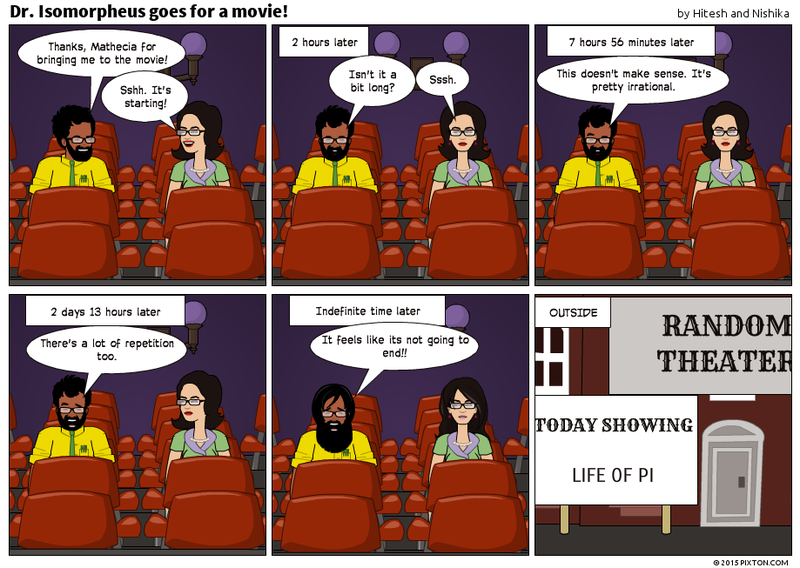 Dr. Isomorpheus goes for a movie! Posted on March 14, 2015, in Comic and tagged Dr. Isomorpheus, Mathecia, Pi, Pun. Bookmark the permalink. Leave a comment.